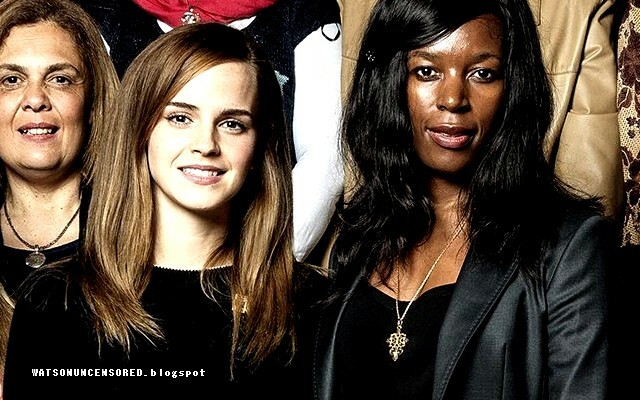 Emma Watson Updates: Elizabeth Nyamayaro: "Emma Watson has been working full-time on He For She since day 1"
Elizabeth Nyamayaro gave an interview to ELLE UK about her fight for equality. She mentioned her work the UN, and of course He For She with Emma. When I first met our Goodwill Ambassador Emma Watson over lunch in London in 2004 [note from WU: she meant 2014], it was an immediate meeting of minds. Her first question was, "What are my deliverables?" I laughed a little, but was impressed by her dedication and I'm proud to call her my co-creator and partner. She's more than a celebrity face. In fact, we never engage with her as a celebrity but as a thought leader. What most people don't know is that she has been working full-time on the project since day one. We message on WhatsApp twice a day, and there are weekly meetings. She even reads and rewrites all the copy on the website.